Nationwide, more than four in 10 adults say they either own a gun or live in a gun-owning household, according to the Pew Research Center. When reporters make mistakes, audiences may see their work as sloppy or, worse, perceive errors as an intentional effort to mislead. Regardless, when the news media get facts wrong, audiences — especially gun owners — may not trust the information they provide. To warn reporters about pitfalls they may encounter in covering guns and brief them on some basic terminology, Journalist’s Resource teamed up with two reporters who have lots of experience writing about firearms. We thank Henry Pierson Curtis, who covered gun and drug trafficking and other crime at the Orlando Sentinel for 25 years before retiring in 2016, and Alex Yablon, who has covered the business of guns and gun policy for more than three years at The Trace, for helping us create this tip sheet. People who die in mass shootings represent a small fraction of the number who die from gunshots in the United States. In 2016, 38,658 people in the U.S. died from injuries caused by firearms, according to a July 2018 report from the National Center for Health Statistics. The majority of gun deaths — 22,938 — were suicides. Another 14,415 people were murdered and 495 died after a gun accidentally discharged. Most guns made in the U.S. are handguns. While AR-15 military-style rifles get a lot of media attention, most firearms made in this country are handguns. In 2017, gun companies manufactured more than 3.6 million semi-automatic handguns, which the federal government categorizes as “pistols,” and 713,577 revolvers, data from the Bureau of Alcohol, Tobacco, Firearms and Explosives (ATF) shows. The same year, almost 2.5 million rifles and 635,239 shotguns were manufactured. An October 2017 study led by researchers at the Harvard Injury Control Research Center finds that firearms acquired over the past 20 years are disproportionately handguns. Still, long guns, which include rifles and shotguns, make up 53 percent of the firearms owned by civilians. An assault rifle, by some definitions, is a military firearm capable of fully automatic fire, meaning it can fire without pause until empty. AR-15-style guns are semi-automatic, meaning they fire a bullet for each pull of the trigger. Organizations such as the National Shooting Sports Foundation (NSSF), a firearms industry trade association, refer to AR-15-style guns as sporting rifles and warn against confusing them with military rifles such as the M-16. “These rifles are used for many different types of hunting, from varmint to big game,” the organization explains on its website. It’s worth pointing out that “AR” doesn’t stand for assault rifle or automatic rifle. It comes from ArmaLite, the name of the company that developed that rifle style. When writing about guns, it’s helpful to refer to the make and model to avoid confusion and errors. All automatic weapons are not banned in the U.S. Under the National Firearms Act, civilians cannot own fully automatic weapons made after 1986. But members of the public who pass a federal background check and pay a $200 tax can legally purchase older automatic weapons, provided they also register them. There’s a difference between a bullet and a cartridge. A bullet is the metal projectile that leaves the barrel of a gun when fired. The bullet, along with the case, primer and propellant, make up the cartridge that goes inside the gun. It’s incorrect to say “box of bullets.” But “box of cartridges” or “box of ammunition” is correct. Keep in mind that shotguns use a different kind of ammunition. Shotgun shells contain either shot, which are metal pellets, or a slug, a projectile that can be made of various materials such as rubber or metal. Silencers don’t make guns silent. A suppressor — also known as a silencer — can be attached to the end of a gun barrel to reduce the dangerously loud sound of gunfire. But a suppressor doesn’t make gunfire silent. You can find videos of people using silencers on YouTube. Poynter’s Al Tompkins created this guide in 2012: “What Journalists Need to Know about Guns and Gun Control.” His website, CoveringGuns.com, offers a host of information, including a timeline of America’s gun control debate. The federal Bureau of Alcohol, Tobacco, Firearms and Explosives (ATF) is the primary regulator of firearms. 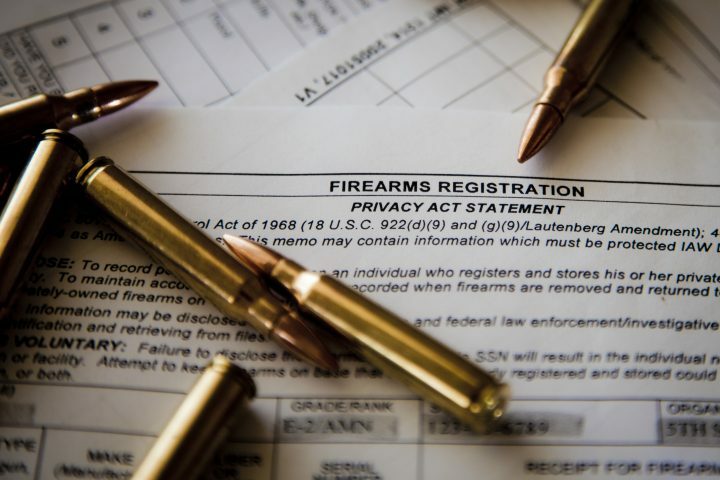 It provides a variety of data, including firearms trace data and a listing of licensed firearms manufacturers, dealers, collectors and importers. The U.S. Centers for Disease Control and Prevention tracks violent deaths, including gun-related deaths. Its National Center for Injury Prevention collects information on firearm injuries and death. The federal Fish & Wildlife Service collects state-by-state hunting license data. The National Rifle Association is a pro-gun lobby organization and leading provider of civilian firearms education. The Brady Campaign to Prevent Gun Violence and Coalition to Stop Gun Violence are advocacy organizations fighting to reduce gun-related deaths and injuries.